Say goodbye to fine lines and wrinkles and give your daily skin care regimen a boost with our 5 top anti-wrinkle serums of 2019. What are the products you use as a part of your skin care routine? Chances are high your answer would be a cleanser and a cream, right? Of course, both of these products are essential for healthy skin but as you age and wrinkles start to form, you need to make some changes and introduce a new product into the mix. 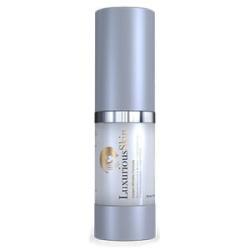 Your skin needs a serum as a powerful weapon in the war against signs of aging. What is a serum? How to find an ideal item and avoid all those ineffective products? Keep reading to find out the answers. 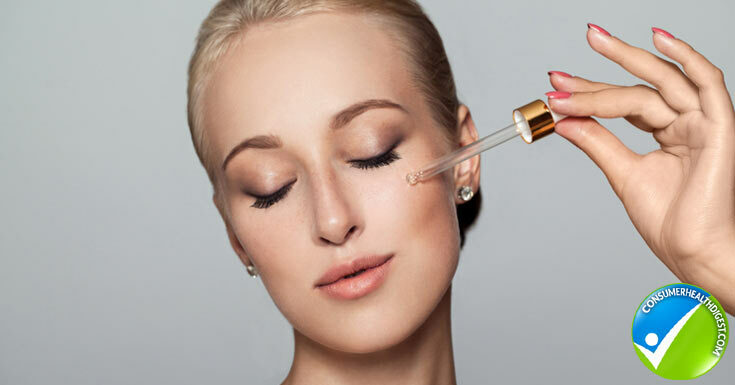 How Do Anti-Wrinkle Serums Work? What To Look For While Choosing Anti-Wrinkle Serums? To help you out in the quest for a perfect serum, we’re bringing you the list of the best products you can find today. 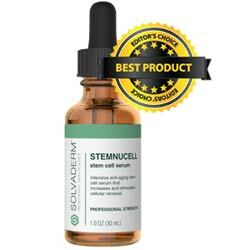 Stemnucell is the best serum on the market and its title is entirely justified. The manufacturer of this dermal regeneration serum is a company called Solvaderm. You’ve probably come across Solvaderm’s products because it is one of the most reputable brands in the skincare industry. Solvaderm specializes in the production of scientifically-proven formulas and all of their products are developed by top dermatologists in the United States. Stemnucell is a result of a cutting-edge science and it is specifically formulated to slow down the clock at the cellular level. The primary ingredient in this serum is Malus domestic fruit cell culture cultivated from rare Swiss apple associated with preserving youthful properties of the skin. The ingredient also promotes healing and inhibits processes associated with skin aging. Other ingredients found in the formula of Stemnucell are a hyaluronic acid which dramatically increases moisture levels and Chondrus Crispus or seaweed extract. Benefits associated with regular use of this serum include improved skin softness, line-erasing and anti-wrinkle effects, enhanced skin’s natural regenerative and self-healing capabilities, and encouraged production of collagen. The product doesn’t contain parabens and other harmful chemicals. Plus, it is suitable for all skin types and age groups. You can purchase the serum directly from the official website. Click Here to read the detailed review of Stemnucell. Pure Obsession Skincare is a brand that specializes in a variety of top-rated skincare and beauty products. They only produce products that are made from 100% natural extracts, which means customers can expect to experience numerous benefits while using products from this brand, but without putting their skin at a risk of developing side-effects, which is a common adverse effect caused by skincare products that utilizes chemical compounds in their formulas. 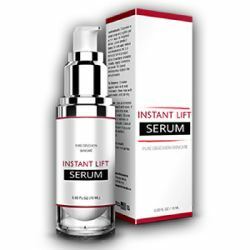 The Instant Lift Serum by Pure Obsession Skincare is a specially formulated skincare serum that helps reduce the impact of aging on your complexion. The serum provides much-needed nourishment with the help from natural ingredients such as thyme extract, passion flower, retinol, and hydrolyzed silk protein. It is recommended to apply the serum twice a day and you’ll notice improvement faster than you expect. What results can you expect to see? Well, Pure Obsession Skincare serum makes your skin firmer and lifts the natural complexion. The potent formula eliminates dead skin cells while stimulating the production of collagen at the same time. The product also works to improve discoloration in your skin which is usually a result of the natural aging process and poor circulation. Click Here to read the detailed review of Pure Obsession Skincare. 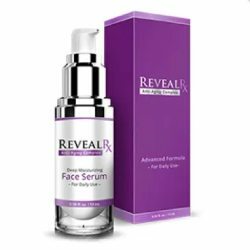 Reveal RX Serum is a powerful anti-wrinkle product with a lightweight texture that skin absorbs easily. The serum is easy to apply, and it is incredibly hydrating, which is why it is a perfect addition to every woman’s skin care and beauty routine. Reveal Rx Serum will not cause the user’s skin to become oily, but, at the same time, it will also not cause dryness like many other anti-wrinkles serum on the market is known to cause. With regular use, you can expect to tighten your skin and brighten the complexion, eliminate discoloration and inflammation, and your wrinkles and fine lines will be smoother as well. Unlike many other serums on the market which contain harmful chemicals, Reveal RX Serum has an all-natural formula which includes rose oil to reduce inflammation and puffiness, chamomile for its calming and soothing properties, and green tea due to high antioxidant content. The manufacturer of this product provides a free trial offer where you only pay a fee for shipping and handling. Then, you have 30 days to decide whether you want to continue using this product or not. Should you wish to stop using the product, you can return the remainder to the manufacturer and they will not continue to bill you a monthly fee for the product. Click Here to read the detailed review of Reveal RX Serum. Chantel St. Claire serum is manufactured by the company that uses the same name as a product. The brand focuses on providing high-quality serums and skincare products that actually work, unlike many other brands whose serums aren’t effective at all. With regular use, serum helps improve the brightness of your complexion, increases the firmness of the skin, and minimizes wrinkles. The serum delivers moisture to an aging complexion and allows the skin to heal and feel soft. At this point, the official website of the brand is being redesigned, but they promise users will have even better experience when the site becomes functional again. Chantel St. Claire Serum is not a cheap option, so if you are looking for an option that will fit a very small budget, then you should look at some of the other serums we have provided in this post. For those who are not afraid to spend some money on an effective anti-wrinkle serum, however, this product is well-suited for them. The product is priced at $99.95 per container. Customers can buy the serum from the product’s official website and can opt for a 14-day free trial offer, which gives the customer the option to try to serum for two weeks and decide if they would like to continue using it, or rather return the product to the manufacturer and stop their subscription. Click Here to read the detailed review of Chantel St. Claire. Luxurious Skin is an anti-wrinkle serum that reduces common signs of aging such as fine lines and wrinkles, age spots, puffy circles under eyes, and dull complexion. The serum uses an all-natural formula to tackle all of the most common problems that people start to complain about when signs of aging starts to develop in their face. The product is promoted as a better, safer and more natural alternative to Botox and other invasive procedures that promises similar benefits. The main ingredients of this product include acetyl hexapeptide-8 which is commonly used to minimize the appearance of signs of aging and aids in new skin cell formation. Also, the serum contains squalane oil which moisturizes the skin. In order to stay healthy and plump, skin needs hydration, but due to the aging process, the moisture declines. This serum nourishes your skin and succeeds in its goal to help you look fabulous without chemicals or other dangerous ingredients. There are some concerns that should be taken into account before deciding to place an order for this particular product – it does seem like some past customers have been unhappy with the continuous charges to their credit card after stopping their monthly subscription of this product. Click Here to read the detailed review of Luxurious Skin. The anti-wrinkle serum is a skin care product with a higher concentration of active ingredients than moisturizers or creams. Most serums are water-based and leave out oils; which is why they have a lighter consistency than a cream or moisturizer. A lot of beauty and skin experts recommend regular use of serums because the most of the fluid is eliminated in these products and you are left with a high concentration of active ingredients. Anti-wrinkle serums contain a powerful combination of antioxidants, skin brighteners, and other natural ingredients that make the skin look and feel youthful. Anti-wrinkle serums have a lightweight formula and make a perfect match with your regular skincare routine. To get the maximum out of the serum you use, it is crucial to apply it properly. Ideally, serums are applied before moisturizers. That’s because moisturizers and creams have a thicker formula and wouldn’t allow the skin to absorb nutrients from serum properly. When it comes to skincare, lightweight products are always applied to items with a thicker consistency. Thanks to their lightweight texture, skin absorbs serums easily. They penetrate deep into the skin’s layers and deliver a powerful concentration of active ingredients. These ingredients then do their job i.e. enhance collagen production, smoothes wrinkles, brighten your complexion, and improve overall skin health. There are simply too many anti-wrinkle creams on the market today – and a majority of these creams can be a complete waste of money due to active ingredients that are ineffective. The other problem is some creams tend to cause irritation and other potential adverse reactions. Thus, people often ask what the best wrinkle cream is – this question does not have one single answer, however. To find the best product for your skin, you need to consider your skin type, which may be oily, combination, sensitive or dry, and take into account whether you simply want to use a serum that could help you prevent the signs of aging from developing, or rather need a serum that will reduce the appearance of those particular symptoms that you have already noticed on your face. You should also consider what ingredients have been tested and proven effective in multiple clinical trials – there is no use in purchasing a product that holds no scientific evidence to back up the claims made by the product’s manufacturer. There are many options available in the market today, but you can check the anti-aging secrets of Clinique. Just because some product promises to help you look younger and wrinkle-free it doesn’t mean you’ll, actually, experience those benefits. Unfortunately, a lot of brands make false claims in order to attract customers. The first thing to focus on when choosing anti-wrinkle serums is a reputation of the brand. Don’t shy away from researching the brand to see whether it’s reliable or not. If a manufacturer is associated with a multitude of complaints, the best thing to do is to focus on some other product. Another important thing to consider is whether the brand tested the product or not. How else would you be able to know whether the product is effective or not? Or at least make sure the manufacturer provides evidence, studies about ingredients or anything like that, to prove that claims made on the label are valid. Read the list of ingredients thoroughly and feel free to research them as well. Most people skip the list of ingredients, but it is a big mistake. Nowadays when we have the internet everywhere, you can easily learn more about the purpose of each ingredient and whether it is effective. So, read the label to “scan” constituents of the formula to see whether they’re effective. Plus, this way you can spot ingredients you’re allergic to and avoid using a product before you experience an allergic reaction. Ideally, the manufacturer should provide a practical money back guarantee so the clients could get their money back if they find the product ineffective. Don’t forget to look for user experience to see if other people had positive or negative opinion about the serum. Anti-wrinkle serums are powerful, but lightweight products that help you look younger and enhance the quality of your skin by minimizing signs of aging. These products fit perfectly into every skin care regimen. If you don’t use serums, you should start today. This article provided five top-rated products that you should take into consideration.